Back To School Illustration Of Two Happy Pupils Wearing Uniform And Bus Behind Them. 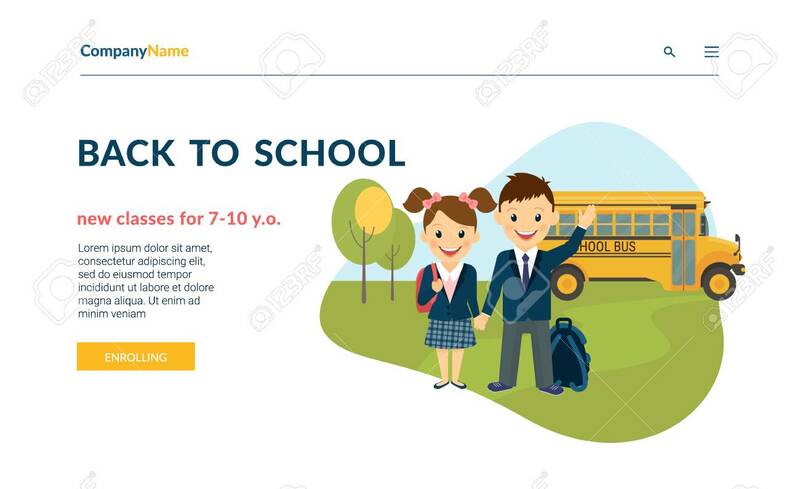 Flat Concept Vector Website Template And Landing Page Design Of Preschool Classes And Courses Enrolling Services Lizenzfrei Nutzbare Vektorgrafiken, Clip Arts, Illustrationen. Image 115044210.